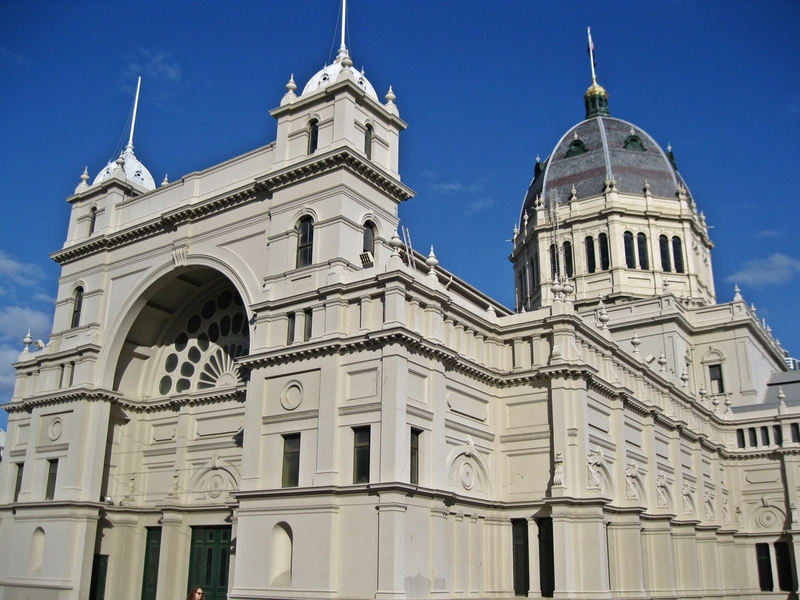 The Royal Exhibition Building and Carlton Gardens in Melbourne are yet another example of my stumbling onto World Heritage Sites completely unawares. Don’t let this poor habit of mine diminish their worth, though. The actual building is very beautiful and the surrounding gardens are a welcome spot for a break after sightseeing in Melbourne. 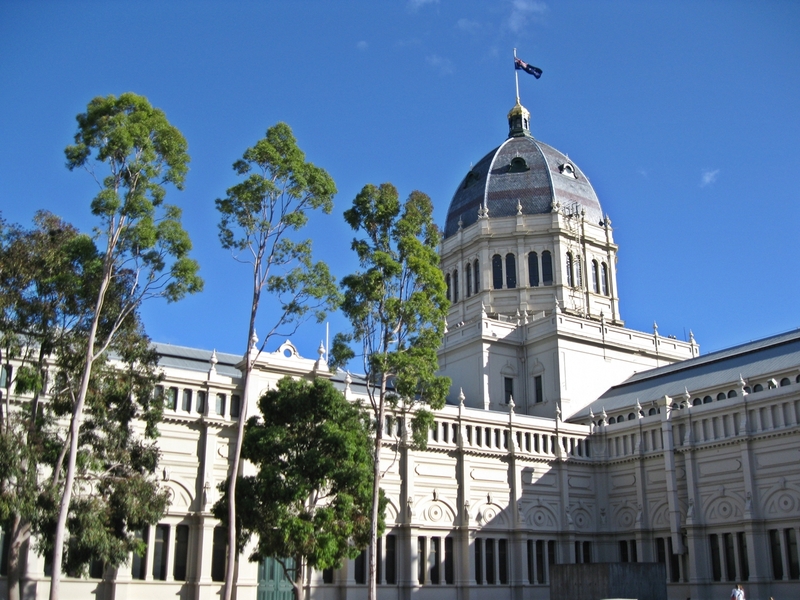 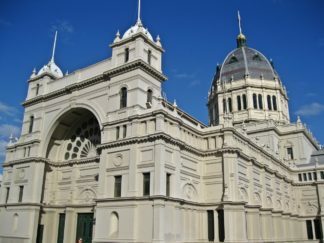 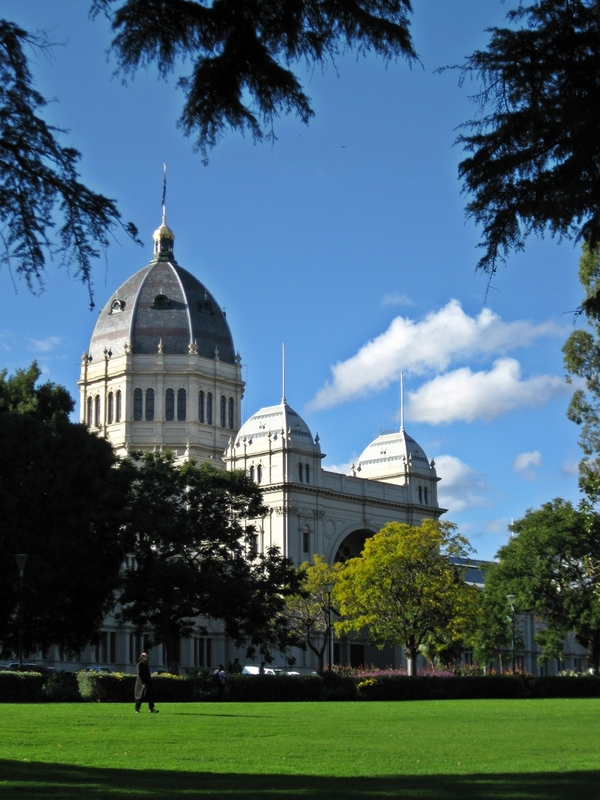 Located just north of the city centre, the exhibition building was built in just 18 months in 1879/80, in time to host the Melbourne International Exhibition of 1880. 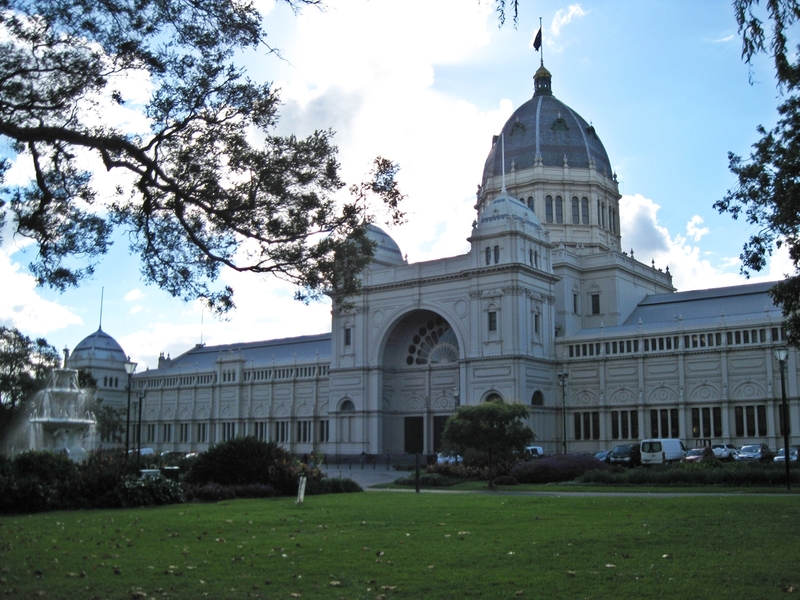 Designed by architect Joseph Reed and built by David Mitchell, it is said to be based on various European buildings, such as the cathedral in Florence. 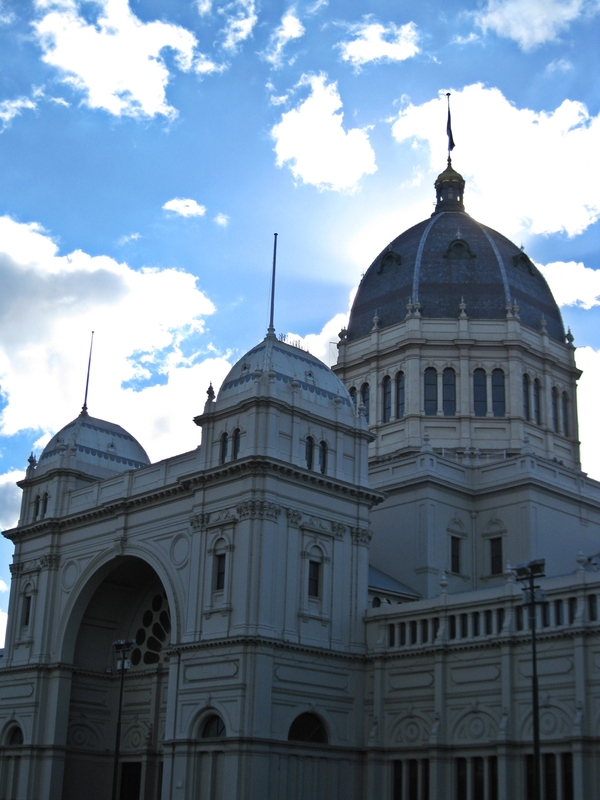 The Exhibition Building went on to house several other exhibitions and major events, chief among them the centenary celebrations of 1888 and the opening of the first Parliament of Australia in 1901; but also several events during the 1956 Summer Olympics (I kid you not). The royal title, however, was not bestowed until 1984. 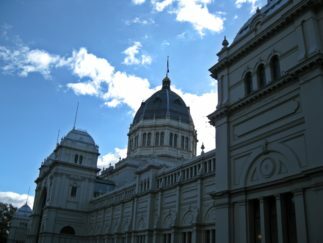 Unfortunately, vast parts of the building were either demolished or lost to fire. 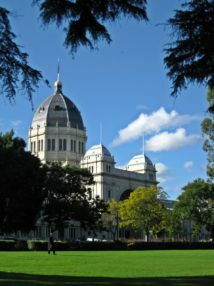 I am quite grateful for the people in charge to have built something so beautiful, and for the building to have survived. 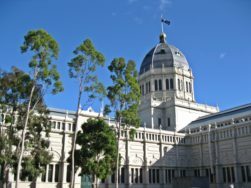 If you have a chance, you should visit the Royal Exhibition Building at a time when there isn’t a major event on, as that would make it much easier to visit and enjoy the inside. In case you would like to enjoy another beautiful relic of times gone by, you should travel on the lovely retro tram No. 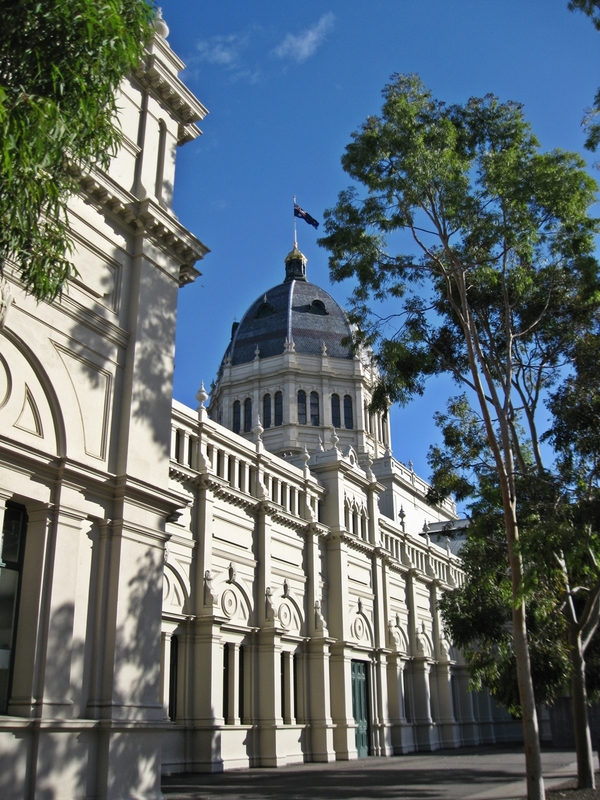 35 – it has two stops on the edge of Carlton Gardens and circles the city centre, making sightseeing a little easier on your feet. 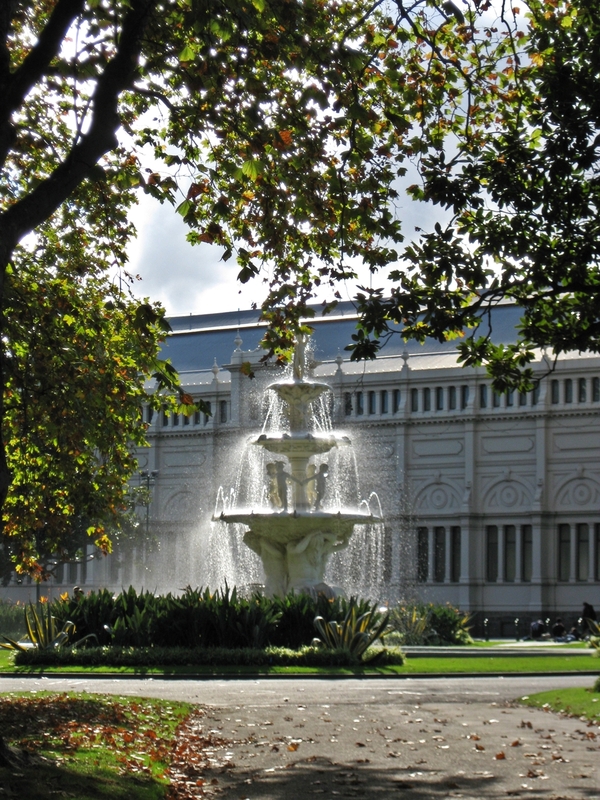 If that doesn’t convince you, yet, it is also free of charge.